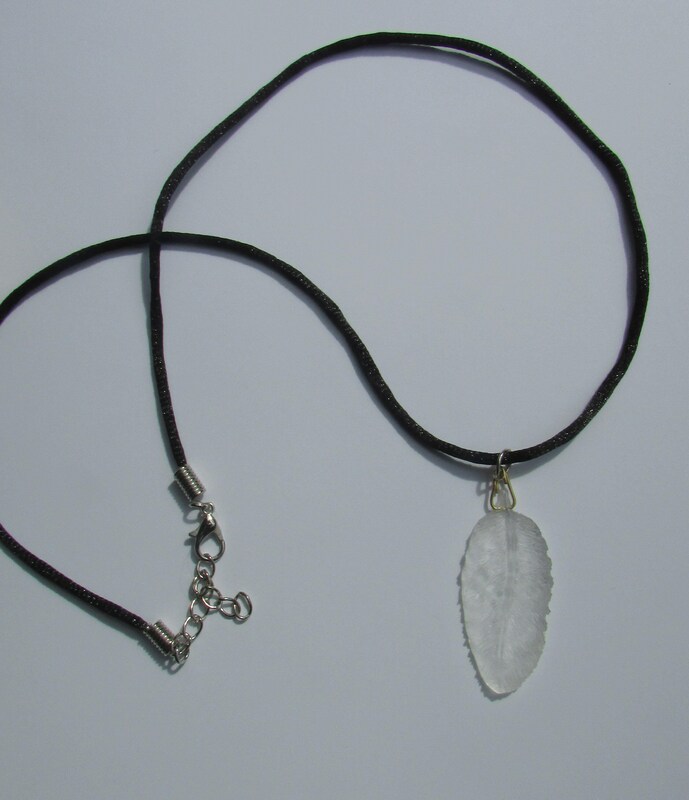 A beautifully unique pendant made of cast resin. 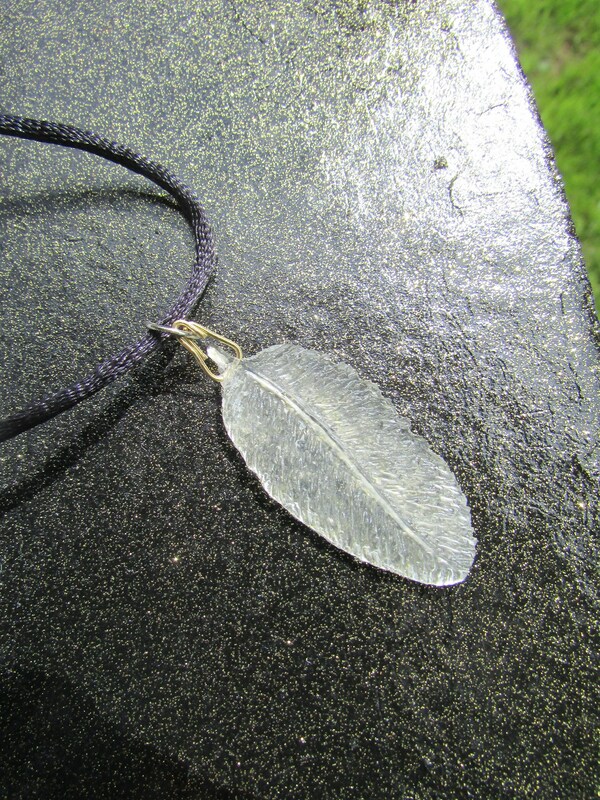 The cast is moulded in the shape of a small glasslike feather. 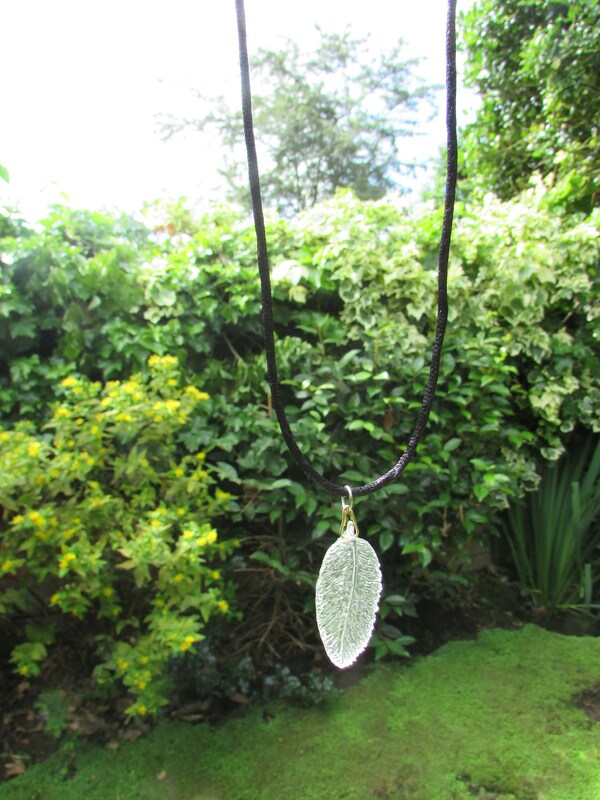 The pendant hangs from a 50cm cord of black silk, which has an adjustable chain. 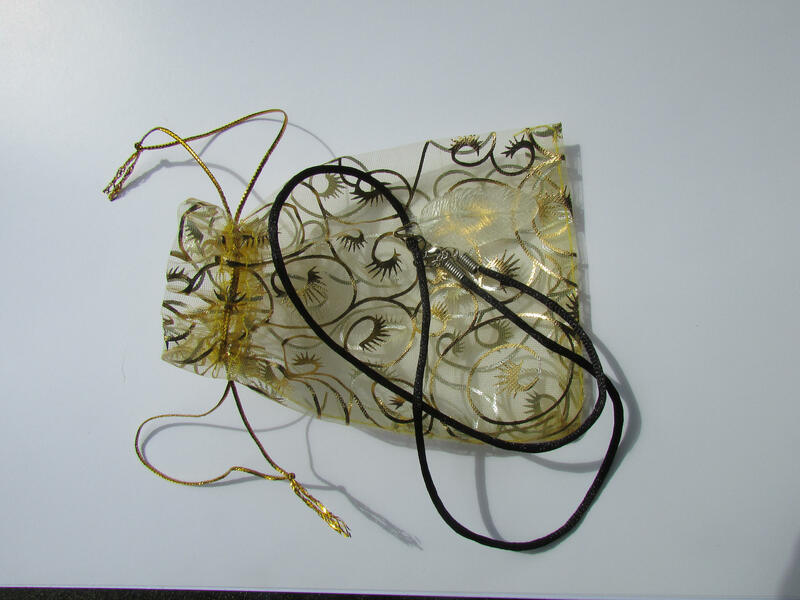 Arrives ready to present in a beautiful gold filigree organza gift bag. Sent by Glassworks Penny Post- only one penny shipping worldwide!